The Caliper & Wonderlic test which is included in the NHS hiring process was designed to assess your skills and abilities for the position which you have applied. Brushing up on the necessary skills for performing the duties of the job you are after will be your ultimate driving force in successfully completing NHS’s hiring process. Get ready for your numerical reasoning pre-employment test. Have you received an invitation to participate in NHS’s Caliper & Wonderlic exams? We have one word of advice, practice! JobTestPrep has developed exclusive PrepPack™, which will hone in on your analytical skills, heighten your answer response time and cement the accuracy of your calculations. After taking JobTestPrep’s Caliper & Wonderlic-style exam you will be ready to shine on test day. Excel at Your NHS Caliper & Wonderlic With JobTestPrep! The NHS Caliper & Wonderlic test should not be a hindrance in getting the job that you want. 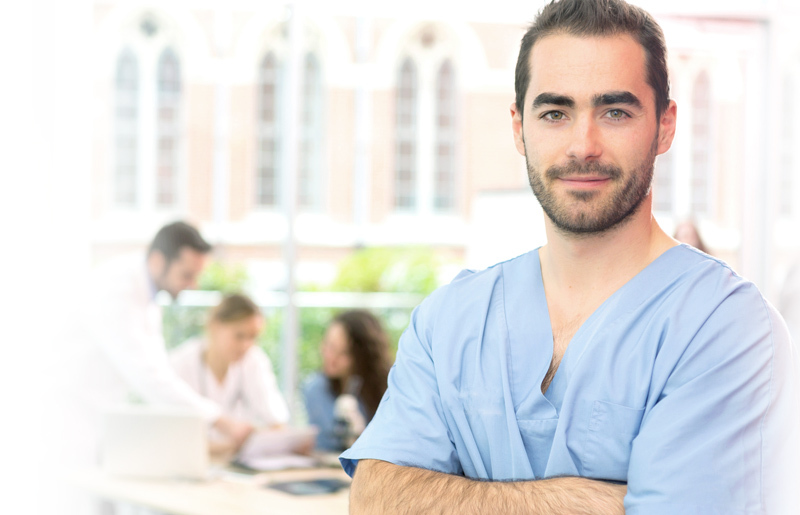 JobTestPrep offers dozens of practice materials to help you outshine the competition during the NHS recruitment process. Sign up with us today and give yourself the advantage! There are many different types of interviews: one-on-one with your intended superior or panel interviews including various NHS position holders; an interview beginning with a presentation or assignment you’ve been asked to prepare or simply an open talk; conducted on the phone, performed via video chat or held face to face and more. Start practicing with our interview preparation packs now to learn how to make the best appearance for any scenario. How is the Aptitude Test Scored? The Aptitude Test is a more sophisticated alternative to existing methods of pre-employment assessments and usually administrated together with a phone and face-to-face interview. This test is designed to evaluate job candidates’ various cognitive abilities, ranging from the numerical reasoning to the verbal comprehension. The Situational Judgement Aptitude Test tries to analyze job candidates’ reactions to different situations usually occurring in workplaces. To predict applicants’ future performance at work even more exactly, the Aptitude Test uses a relative scoring method. That is, it is not important how many questions on the test you answered correctly, since your score will be evaluated relatively to the score of other candidates. This comparative method allows employers to choose the best employee from the applicant pool. For job applicants, however, this method carries obvious disadvantages. For even if your score is objectively high, it may still be not good enough, if compared to the higher scores of others. Because of such scoring method, it is of paramount importance to receive the best scores on the Aptitude Test. You can get them only if you practice for your test in advance. Purchase our top-notch resources and pass the Aptitude Test with ease and confidence. What Does the NHS Personality Assessment Measure? This assessment is used to measure certain job-specific personality traits sought after by NHS. It should be noted that although there are technically no right or wrong answers in a personality assessment, certain responses can negatively impact your overall workplace personality profile. If, in the end, your profile happens to be a match for the position being offered, you are more likely to be offered the job. How Can I Pass the NHS Situational Judgement Test? Knowing how to respond to the hypothetical workplace scenarios in NHS’s situational judgement assessment will give you an advantage when taking this test in real-time. JobTestPrep offers SJT prep materials to familiarize you with the appropriate responses and score method, as well as show you where and how you can improve your overall score. If your behavioral style is a match for NHS and the position being offered, you are likely to be offered the position in the end. Is Body Language Important During the Interview? There is no doubt that body language is crucial during an interview, it shows how assertive, introverted or smug of an individual you are. The hiring manager will try to get the best of you, to see your true character. After the 20 minute point, many people start to become comfortable and let their guard down. So, remember the JobTestPrep training and don’t forget to dress to impress. When Should I Prepare For My NHS Caliper & Wonderlic Test? How Should I go About Prepping for the NHS Recruitment Process? You must be fully equipped to pass a variety of assessment tests, including Caliper & Wonderlic test among others. JobTestPrep’s PrepPacks™ provide extensive review material to ensure you are fully ready to take on the tests. NHS, Caliper, Wonderlic , Microsoft, and other trademarks are the property of their respective trademark holders. None of the trademark holders is affiliated with JobTestPrep or this website.